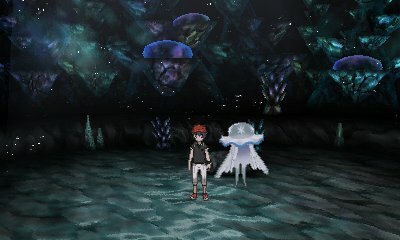 The first Ultra Beast Encounter is with the mysterious UB-01 when you first are in the Aether Foundation. Due to the jamming signal the Aether Foundation has set up, this Pokémon cannot be captured and is at Level 27. Its Defense is boosted. 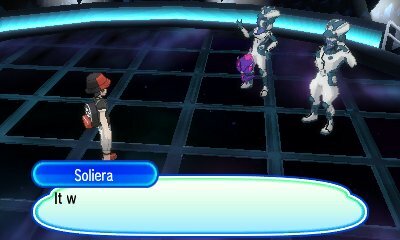 After this encounter, in addition to battling Poipole, the one owned by the Ultra Recond Squad, you then see Ultra Beasts again when Lusamine forces Cosmog to create an Ultra Wormhole. This causes Ultra Wormholes to open up across the Alola Region, notably seen with Blacephalon/Stakataka appearing and facing off against Tapu Koko, Buzzwole/Pheromosa facing off against Olivia, Guzzlord appearing in front of Nanu and Xurkitree appearing by Hapu. 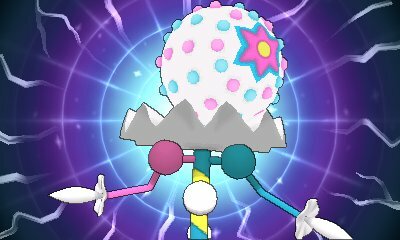 The first Ultra Beast that you will obtain is Poipole. This Ultra Beast is given to you in Ultra Megalopolis after you have defeated Ultra Necrozma. 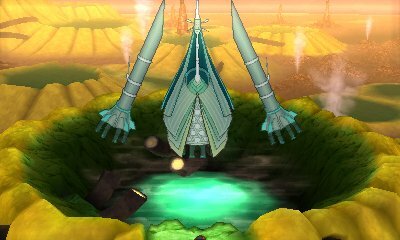 Poipole is a Pokémon unique to the world of Ultra Megalopolis. You get offered the Poipole by Ultra Recon Squad, though you don't need to take it immediately, you can return to get it. It evolves into the other Ultra Beast, Naganadel. Once you have obtained the ability to explore Ultra Space, in the White Wormhole you will often find Nihilego in the Ultra Deep Sea. This area is the same as in Sun & Moon and is a small corridor at the end of the corridor is a chair. sit in it and Nihilego will attack. On repeated visits, Nihilego will just be standing in front of the chair. It will always respawn with each successive visit. Once you have obtained the ability to explore Ultra Space, in the White Wormhole you will often find the Ultra Jungle. This area is a collection of large trees connected by vines. Follow the vines upwards to the tallest tree. 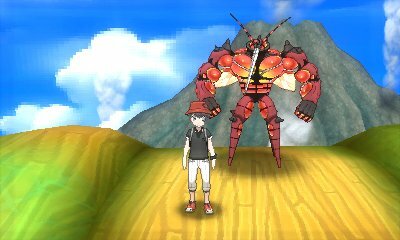 From there, a volcano will erupt and Buzzwole will shoot down and challenge you. It will always respawn with each successive visit . Once you have obtained the ability to explore Ultra Space, in the White Wormhole you will often find the Ultra Desert. This area has you complete multiple strength puzzles using Machamp Shove. 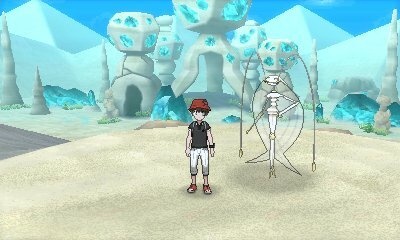 Once complete, you'll be able to get Pheromosa. It will always respawn with each successive visit . Once you have obtained the ability to explore Ultra Space, in the White Wormhole you will sometimes find the Ultra Plant. 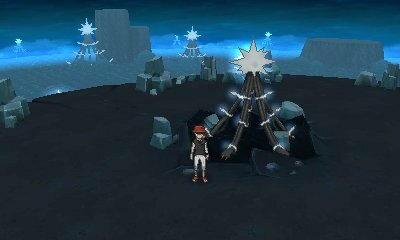 This area is shaped like a Xurkitree with lots of Xurkitree in the background. As you walk through the area, lightning will strike repeatedly around all elements of the planet. When you reach the top, you'll find another Xurkitree, which will get hit by lightning at attack. It will always respawn with each successive visit . Once you have obtained the ability to explore Ultra Space in Ultra Moon, in the White Wormhole you will occassionally find the Ultra Crater. This area has a few small craters to explore, but at the end you will find a Celesteela rise from the ground. It will always respawn with each successive visit . 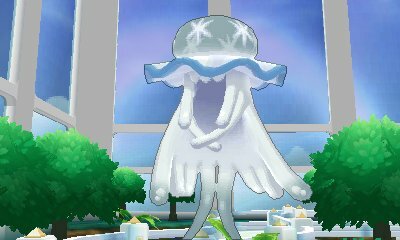 Once you have obtained the ability to explore Ultra Space in Ultra Sun, in the White Wormhole you will occassionally find the Ultra Forest. 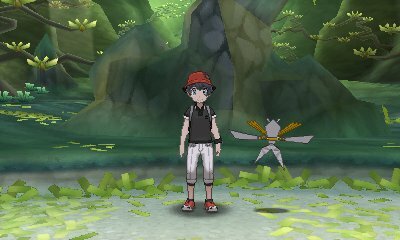 This area is a small forest path, with lots of flowers shaped like Kartana. You will find some humans, native to this world. One will say you can capture or defeat Kartana, the other two you'll have to battle, with both trainers having Kartana. At the end, you'll find another Kartana staring at a rock. It will slice the rock in half and then come to attack you. It will always respawn with each successive visit . Once you have obtained the ability to explore Ultra Space, in the White Wormhole you will rarely find the Ultra Ruin. When there, you'll encounter a man in protective gear who mentions that everyone has evacuated the world and to be careful of "Mr. Glutton". 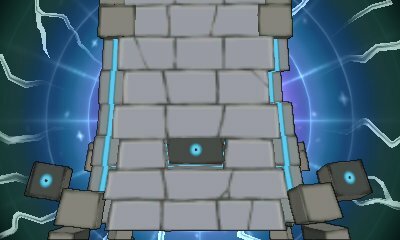 As you explore the area, you find out that these are the ruins of Hau'oli City. Towards the end, you'll see a Guzzlord eating everything it can. Interact with it and it'll challenge you. It will always respawn with each successive visit . After you have become champion, you'll get summoned by Ultra Recon Squad to come help out. In Poni Grove, there are multiple Ultra Beasts wrecking havoc. They give you and Hau some Beast Balls in order to capture them. 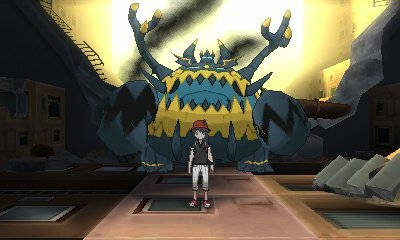 There are 3 of the beasts in the area, of which Hau captures one for Ultra Recon Squad's research. You can capture the other two. They are Blacephalon in Ultra Sun and Stakataka in Ultra Moon.